peaches « AFTER THE POP ! i worked a birthday party for an 89 year old woman last evening. Her home is a 1949 Craftsman bungalow that has been changed little since its construction and is nestled on a 25 acre parcel of what was undoubtedly a much larger piece of land originally in an exclusive part of old moneyed denver. the view was astounding and the age of the caterer and the guests was impressive to say the least. as i pulled up around 5p, the matriarch was just returning from her rounds checking the pets and the horses on the farm which is a daily routine. it was old denver money at this function and it was definitely intoxicating. the woman who trained and raced secretariat was there. 2 state legislators were in tow as well. i found myself completely enamored with the ambiance and impressed with the survivorship. i was asked this week to chair the committee that will produce the ‘rally for recovery 2011″. it’s an annual event in colorado which highlights the benefits of recovery and celebrates some of the “gifts” that come with it. a couple of good friends are planning a visit from chicago in august. 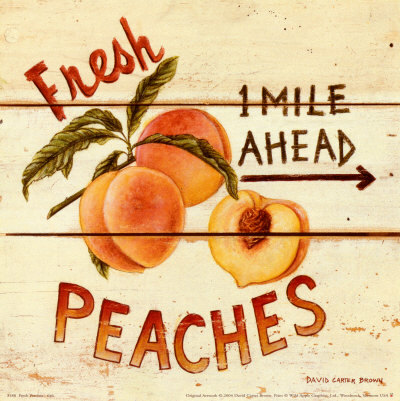 i am thinking i will take them to the western slope for the pallisades peaches festival. i am looking forward to checking it out as well as getting outa dodge for a coupla days. in a meeting tonight, i realized that i have become comfortable with accepting that life is forever changing and is far from perfect or easy. i think i used to get caught up in the challenges of change and the difficulties in that. but i am coming to understand that this is the nature of life. last night we had a torrential downpour and the streets and drains flooded all the way up to the sidewalks. there was relocated mulch all over the sidewalks and the stairs up to my house and there was a fencepost from i don’t know where sprawled out as well. i could have gotten mad about it, but it really is the nature of life to shift. i honestly hope i am learning to work with this. This entry was posted in 2nd stage recovery, advocates for recovery, colorado, music, pallisades peaches, peaches, rally for recovery. Sometimes all the changing is preferable to thinking: Yikes, what if it stays the same?